Here’s the Dirt…Easy Holiday Decorating Idea…"Boxwood Mounds"
Here is a simple decorating idea that anyone can do for the holidays. 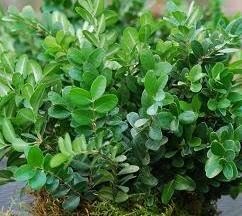 Find some boxwood to cut. boxwood likes to be trimmed anyway. Cut multiple tips about 6 inches long. you can always use the extra somewhere else in your home. Find a pot or container you would like to fill. Soak and cut some florist oasis to fit snug in your container. Cut all your stems about the same length. Decide how high you want your stems to be. into the oasis, working your way out towards the edge of the pot. 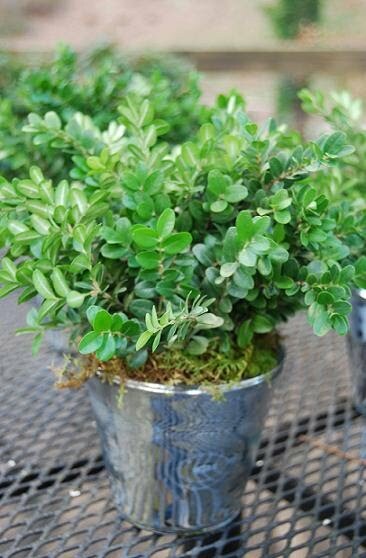 Make your boxwood thick and full. Add some sheet moss around the edge to hide any oasis showing. grouped down a dining room table. and place on your mantle or sideboard. If you need some help…give us a call and we can make them for you.